I first visited Launceston nearly 25 years ago, and two things stand out in my memories from that trip: Cataract Gorge and the macaque monkeys in City Park; both of them are still there and they are both still outstanding. 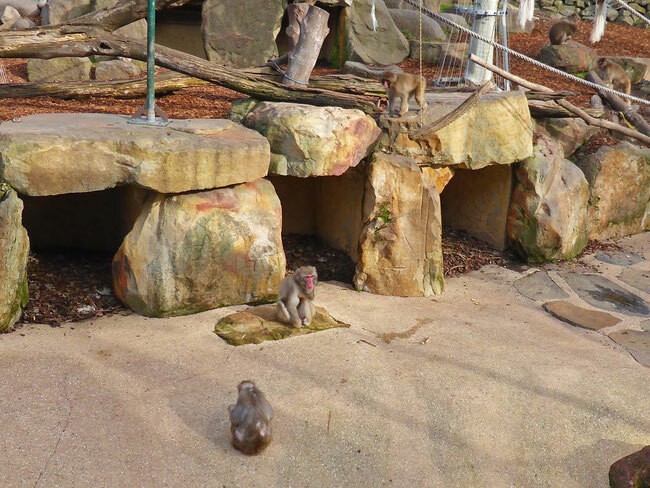 Visiting the monkeys is free, and they are so interesting that we’ve taken to dropping in on them for a look every time we are in that part of the city. The monkeys are surprisingly unannounced: they are tucked away in the corner of one of the parks in the central business district. The first time we saw them on our previous visit we came across them by chance; but this time we sought them out. 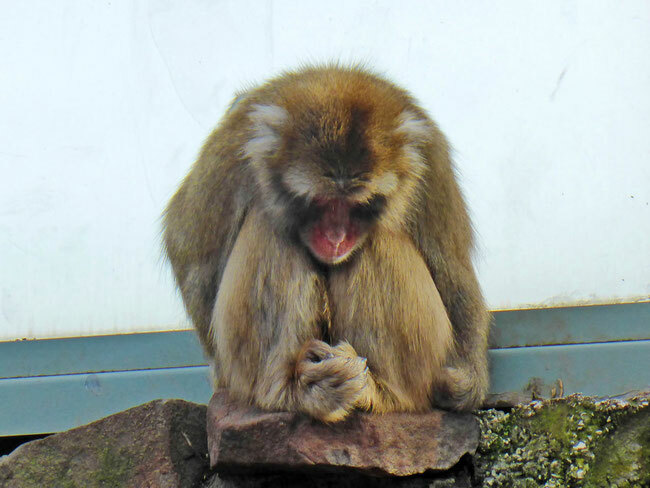 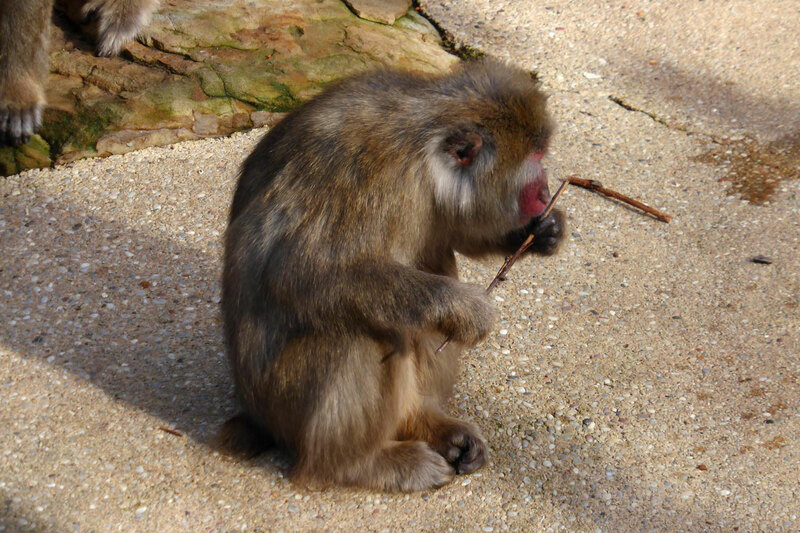 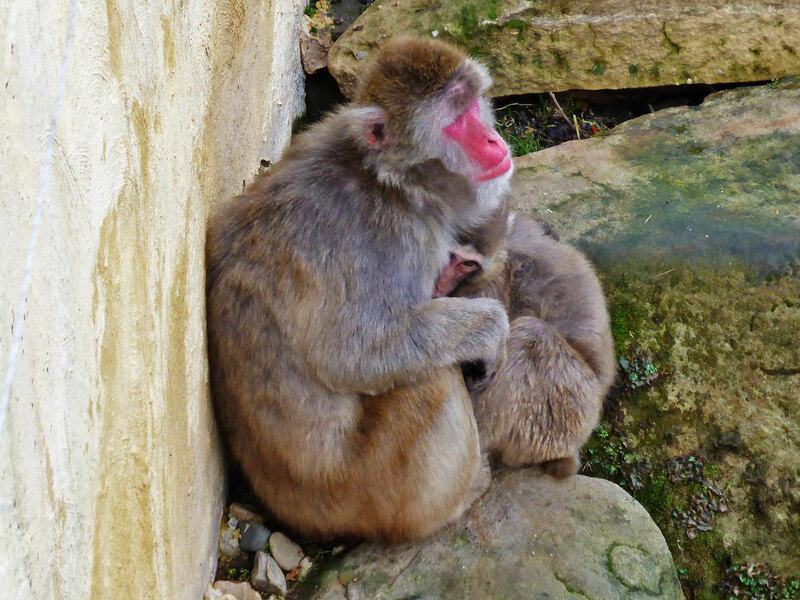 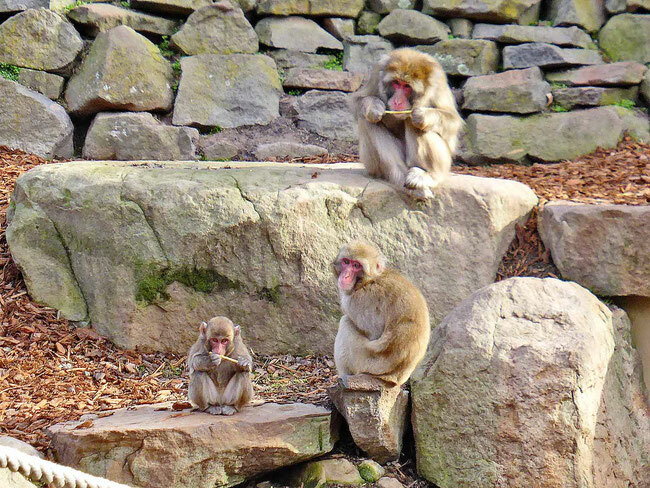 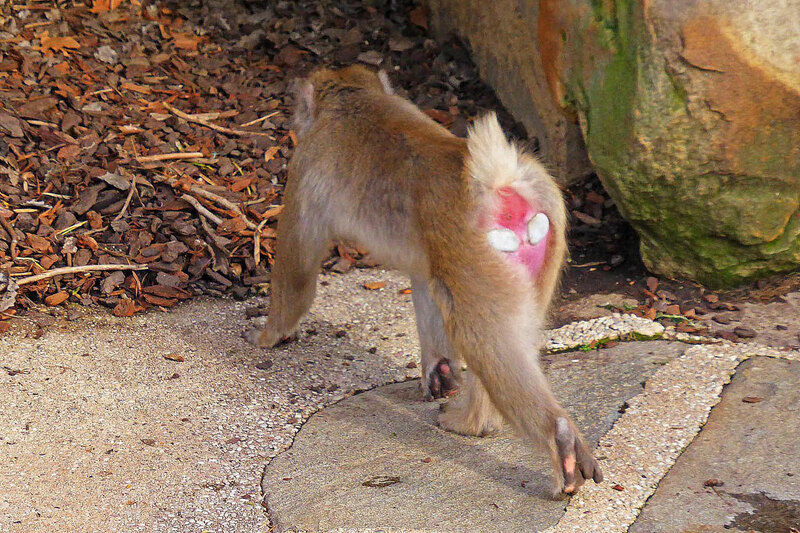 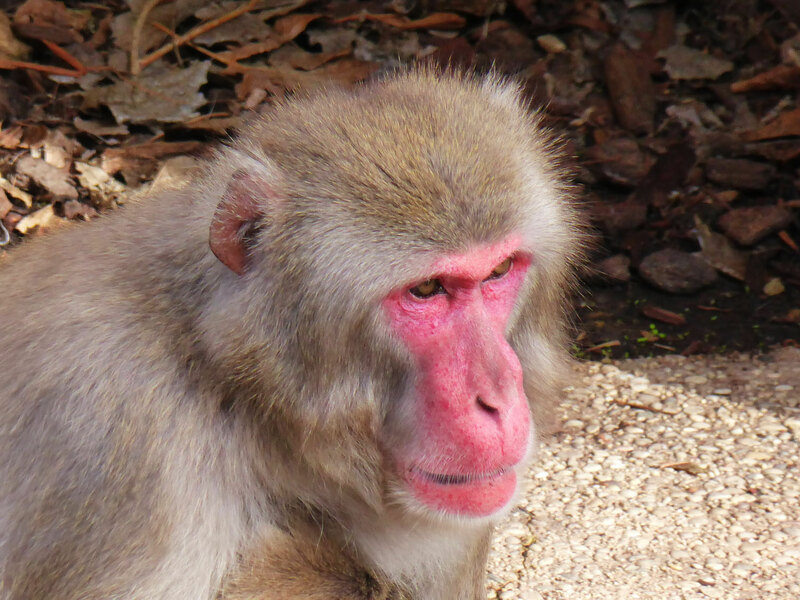 Unlike the macaques of Gibraltar, which are Barbary macaques, Launceston’s macaques, which are Japanese macaques, are not running wild – they live in a secure enclosure in City Park, which is just as well, because the Japanese macaque species was selected for its good match to Launceston’s climate, and if they got out that could become feral, as so many other animals have in Australia. 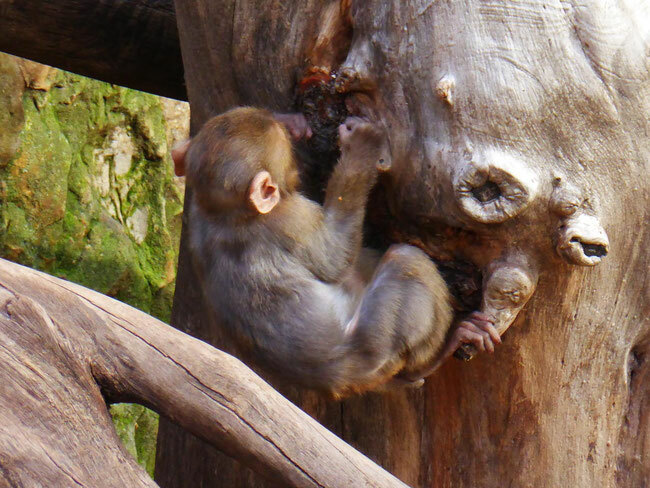 The monkeys are fascinating to watch for their acrobatics and their antics, and their occasional revelation of their evolutionary connection with humans. Their interactions are mostly peaceful and friendly, with just the occasional scuffle for dominance, and they always have you wondering what they will get up to next. They are extremely curious animals and will pick up anything they can find and examine it carefully. 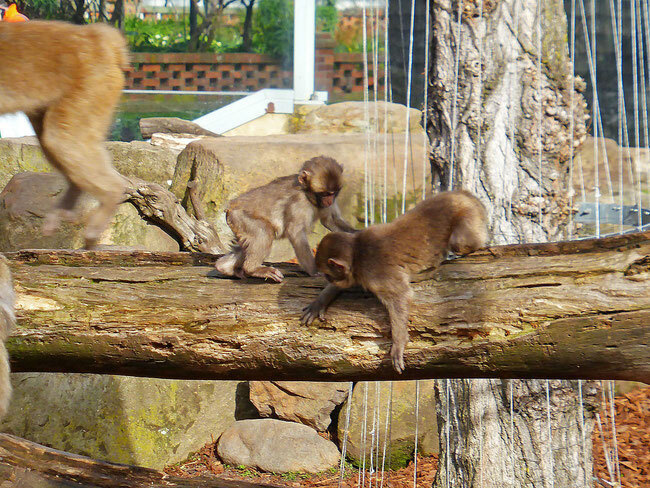 But the babies are also very independent, and are usually clambering around climbing on things. Notice the long prehensile finger-like toes on this one's back feet. 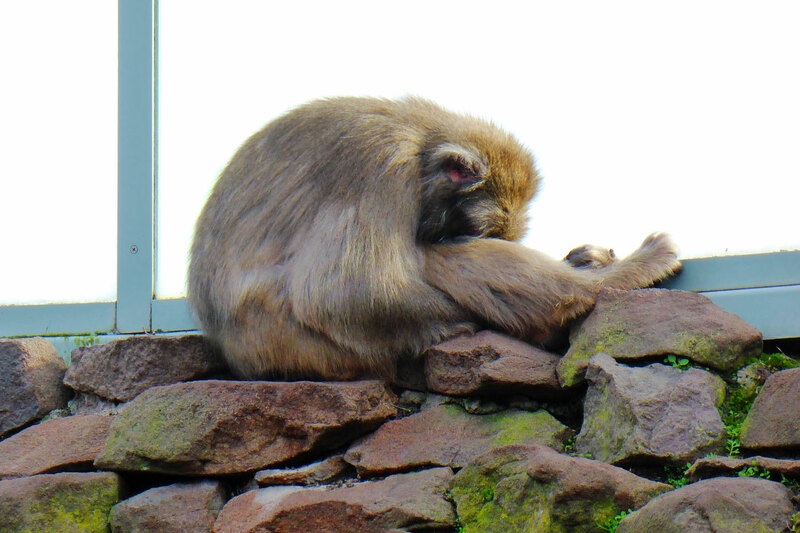 And like this; this sleeping macaque has cupped its rear feet together like hands, with its big toes crossed like thumbs. 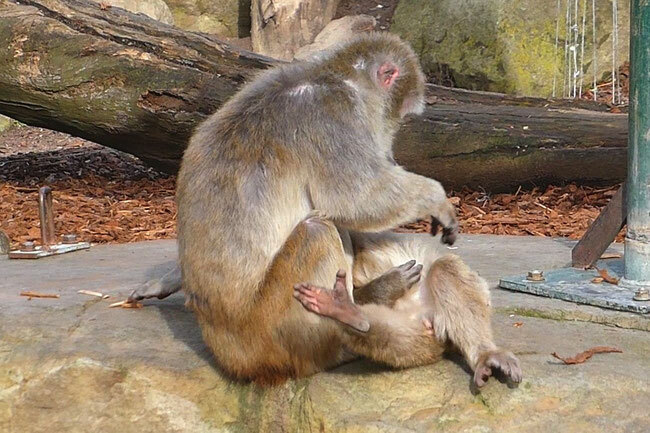 This young macaque’s struggles while it's being groomed by its mother gives a really good view of one of its feet. 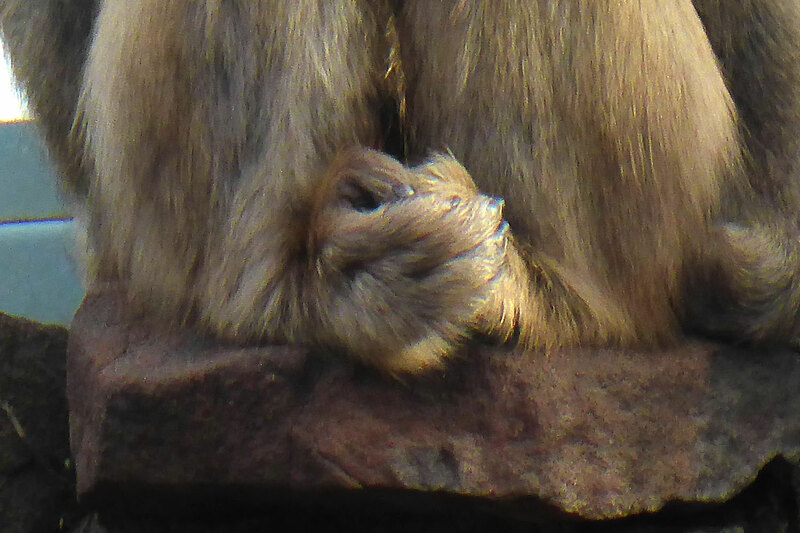 You can clearly see the long prehensile toes and the powerful opposable big toe, which they put to good use for climbing. 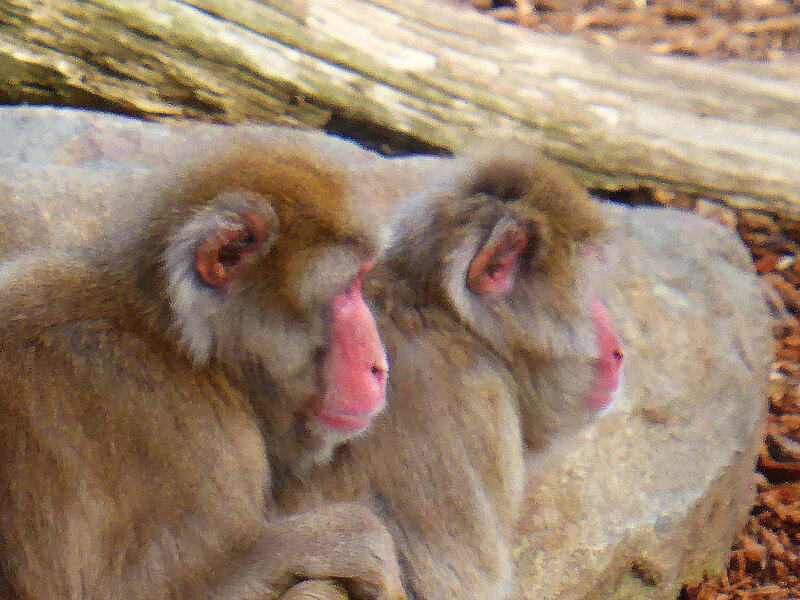 I started to video these two because they look like such a friendly close pair, and they were doing lots of grooming back and forth, but then they showed me just how useful those macaque feet with the opposable toe are.